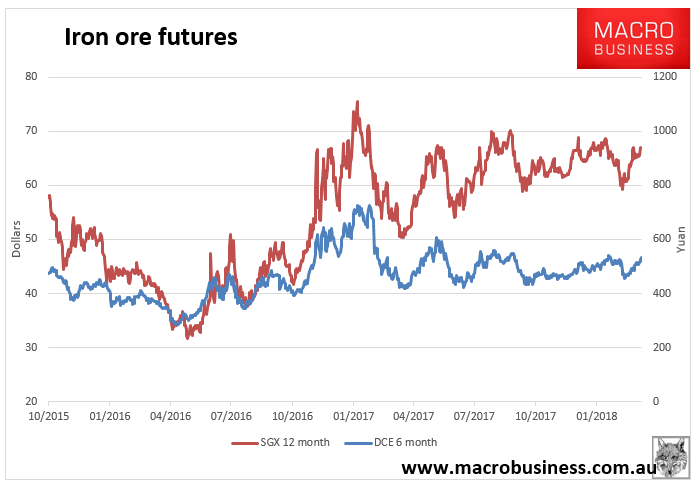 Futures lept on the Dalian Commodity Exchange and in Singapore for the 6 month and 12 month respectively, while spot iron ore slipped. 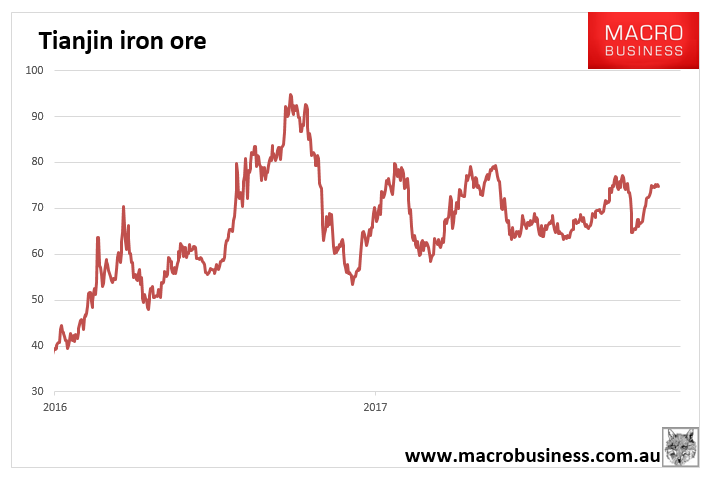 “Our sintering data analytics model is seeing a pick up in (iron ore) utilization over the last two weeks,” said Darren Toh, a data scientist with Singapore-based steel and iron ore data analytics company Tivlon Technologies. Utilization of the steel-making raw material is expected to continue inching up over the next 10 weeks in China, Toh said, adding, he expected authorities to relax anti-pollution measures in the first half of the year. The government, however, pledged to continue with a crackdown on air pollution that has weighed on the industrial sector, including steel producers, despite a cooling Chinese economy. Analysts said hopes are high that the government will unveil more fiscal stimulus during the annual parliament meeting in March, including bigger tax cuts and more spending on infrastructure projects. 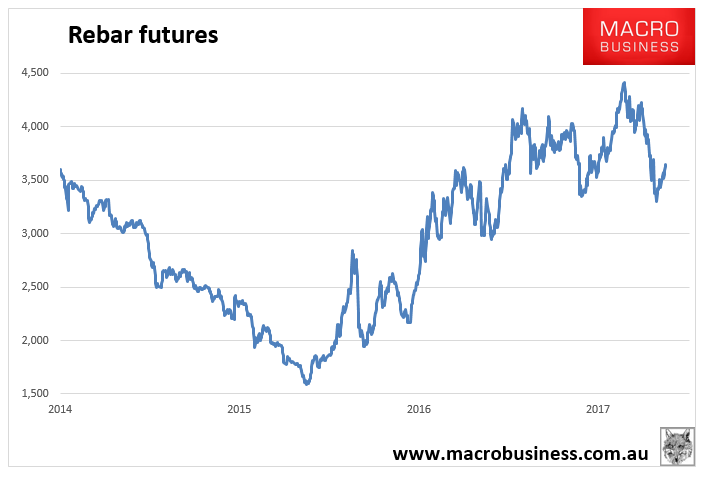 But steel markets in China and Southeast Asia may pick up after the Lunar New Year holidays in early February, Tokyo Steel Managing Director Kiyoshi Imamura told reporters at a briefing. The alleged discrepancy was discovered during an audit, the Government said in a statement. WA Treasurer Ben Wyatt said the underpayments amounted to between $200 million and $300 million, and dated back to the early to mid-2000s. Mr Wyatt said the issue related to BHP’s Singapore marketing hub. In a statement, BHP said the WA Mines Department had recently questioned a “long-standing and historically accepted deduction of costs” related to iron ore sales. “The long-standing deduction has been consistently audited and accepted by the Mines Department as part of BHP WA iron ore royalty calculations,” the statement said. Maybe to plug that big fat hole in the Western Australian budget?